In Sunset View Hotel, a pool could not be missing. Cool yourself down during the hot summer days, enjoy sunbathing on comfortable sunbeds. Spoil yourself with a refreshing drink as you overlook Parikia and the bay. 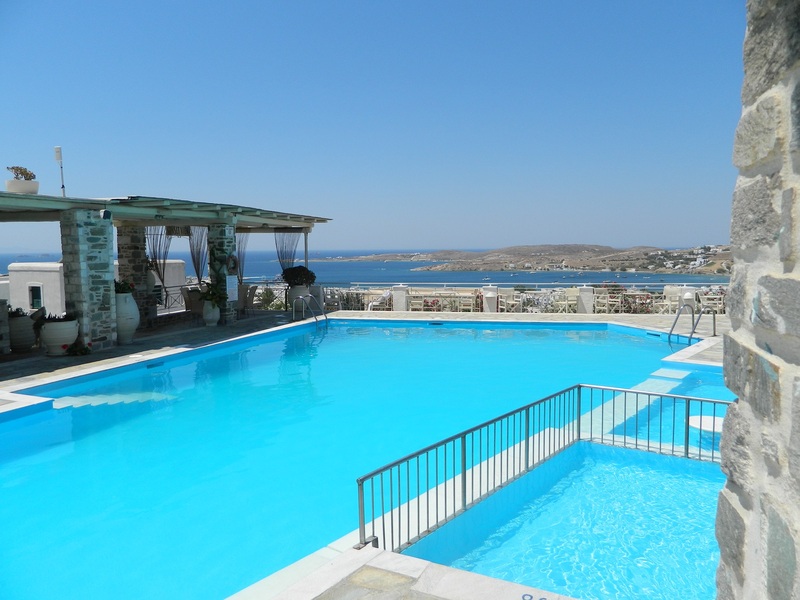 Let our team take care of everything, while you relax and enjoy your vacation in our Paros hotel with pool. Our large pool will fulfil the expectations of every swimming enthusiast. There is a spot inside of the pool, where you can just sit down and enjoy the charm of the environment.